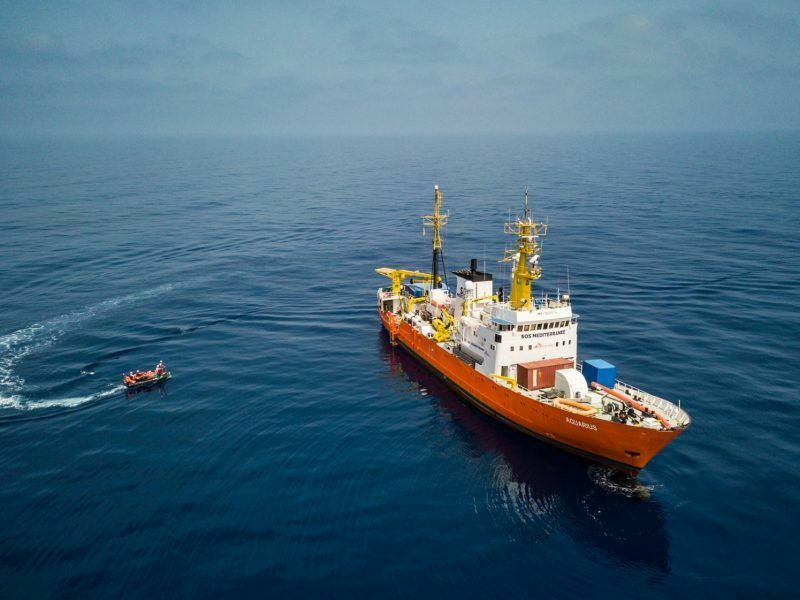 The ships Lifeline and Seefuchs, of the German NGO Mission Lifeline, “will be seized by the Italian government and directed into our ports” to launch an investigation into their legal status, announced Italy’s infrastructure minister Danilo Toninelli. Italy bans 2 more migrant NGO-boats, the Dutch vessels Lifeline and Seefuchs. The announcement comes after Italy’s new populist government earlier this month refused to take in the Aquarius rescue ship, carrying some 630 migrants, sparking an EU migration row. The Lifeline ship rescued 226 migrants off the coast of Libya on Thursday morning, the NGO said in statement. Italy’s far-right interior minister Matteo Salvini had earlier said that the ship, which flies under the Dutch flag, should “go to Holland”. “Foreign NGO boats will never touch Italian soil again,” he said in a Facebook post on Thursday morning. But Toninelli later said that the Dutch government denied that the boat was registered in their country. Responding to a request from the Italian government, the Netherlands said the ship was “unlawfully, illegally flying the Dutch flag”, Toninelli said in a Facebook video. The Dutch representation to the European Union tweeted that the ships Seefuchs and Lifeline did not sail under the Dutch flag. “These ships belong to a German NGO and do not appear in the Dutch naval registers,” the tweet said. Toninelli accused the Lifeline boat of violating international law by taking the migrants aboard despite the fact that the Libyan coastguard was already intervening. He added that the boat of putting the migrants’ lives in danger, saying the ship had a “capacity to carry 50 people” but had taken onboard more than 200. But unlike Salvini, Toninelli said Italy would take in the migrants. Italy “will once again save the migrants” and transfer them onto Italian boats, said Toninelli. “And we will seize the ship,” he said, adding that the Seefuchs boat would receive the same treatment. “For us, saving lives, but safely and legally comes first,” he said, branding the rescue boats as “irresponsible”. But questioned about Lifeline’s fate at a rally in the city of Terni on Thursday evening, Salvini said: “It’s a pirate ship, like Captain Hook’s,” Italian news agency AGI reported. “I don’t want ghost ships in Italian ports. If they come to Italy, we will denounce them to the authorities for facilitating illegal immigration,” he is reported to have said. 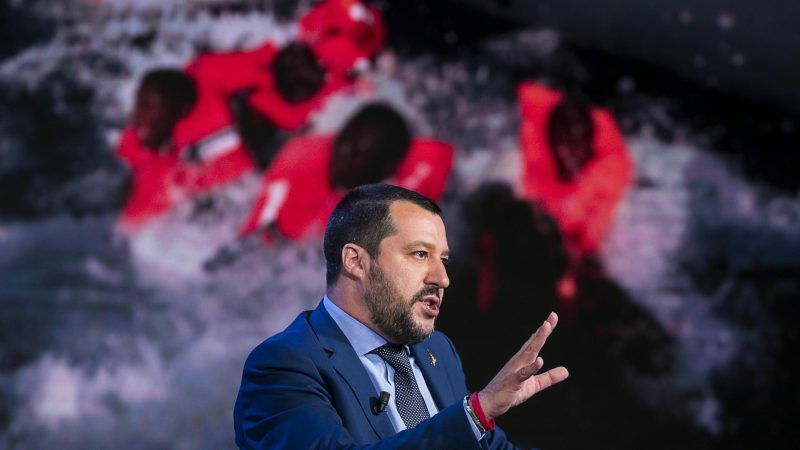 Salvini has repeatedly accused NGOs of being complicit with human smugglers operating in Libya. In a statement Lifeline said it had rescued the migrants “in line with all international regulations” and called for a “port of safety to disembark those rescued”. The organisation said it feared “a similar situation to the Aquarius could be on the horizon”. The boat was eventually taken to the port of Valencia in Spain.